Alberta’s auditor general recently produced a report that highlighted risks to Alberta’s long-term fiscal sustainability. The report highlights a number of problems with Alberta’s approach to fiscal policy in recent years, including the province’s rapid spending growth and the closely-related issue of the province’s heavy reliance on natural resource revenue to fund day-to-day spending. Let’s start by considering Alberta’s unsustainable approach to public spending. Our studies have repeatedly shown that Alberta’s fiscal problems stem from successive governments increasing spending at a significantly faster rate than that would have been necessary to offset cost pressures from inflation and population growth. For many years, when oil prices were high, successive governments spent freely as though the good times would never end. When oil prices fell in late 2014, the government found itself spending at unaffordable levels, facing a very large budget deficit. Since then, the government’s decision to continue to increase spending has caused those deficits to grow even bigger along with the provincial debt. The auditor general’s report focuses on the same issue in a different way, looking at a somewhat longer period between 1981 and 2017. Specifically, the report noted that while the combined rate of inflation and population increased by slightly more than a factor of five, total spending by the provincial government increased by nearly a factor of seven. In short, the report confirms previous Fraser Institute analyses showing that spending growth has outstripped what would be needed to offset pressures from inflation plus population. Indeed, if spending had been restrained to the combined growth rate of inflation plus population over the past 15 years, Alberta simply would not face the stark fiscal challenges of today. Of course, it’s easier for provincial governments to balance their budgets (or at least come close) when resource revenues are high. And it’s harder when they are low—as has been the case in recent years. However, the data presented in our reports and by the auditor general shows that it’s misguided to simply blame low commodity prices or a downturn in resource revenue for the province’s big deficits and its fiscal problems more broadly. 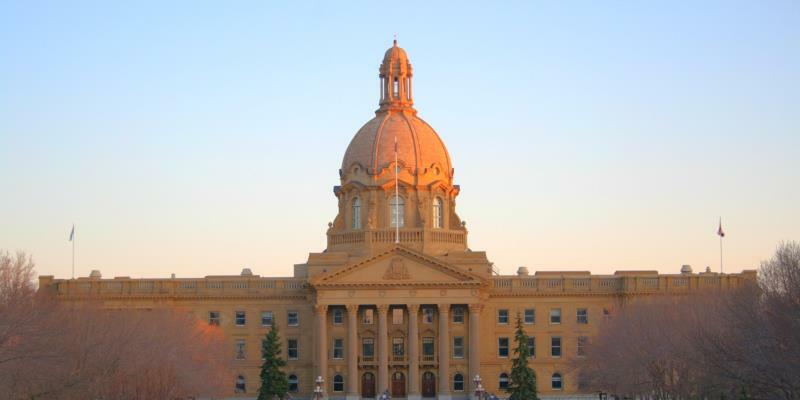 In reality, if successive provincial governments in Edmonton had increased spending at a more prudent rate, the province’s finance would have been better positioned to withstand the oil price shock that began in 2014.